M1 Derbyshire southbound severe disruption, from J29 for A617 Chesterfield to J28 for A38 Alfreton. M1 Derbyshire - One lane closed on M1 southbound from J29, A617 (Chesterfield) to J28, A38 (Alfreton), because of a broken down vehicle. Traffic is coping well. M1 Derbyshire - One lane closed on M1 northbound from J30, A616 (Worksop) to J31, A57 (Sheffield), because of a broken down vehicle. Kimberley Leech, 15, has appeared in Vogue magazine. M42 Leicestershire northbound severe accident, at J11 for A42. M42 Leicestershire - M42 lane closed on exit slip road and heavy traffic northbound at J11, A42 (Burton-Upon-Trent), because of an accident. Garry Jack sent a message to his girlfriend threatening to "kerb stomp" a black youth, a court hears. 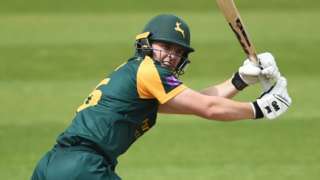 Ben Slater hits a century for Notts as they beat Warwickshire by 118 runs in the One-Day Cup, their third win in a row. 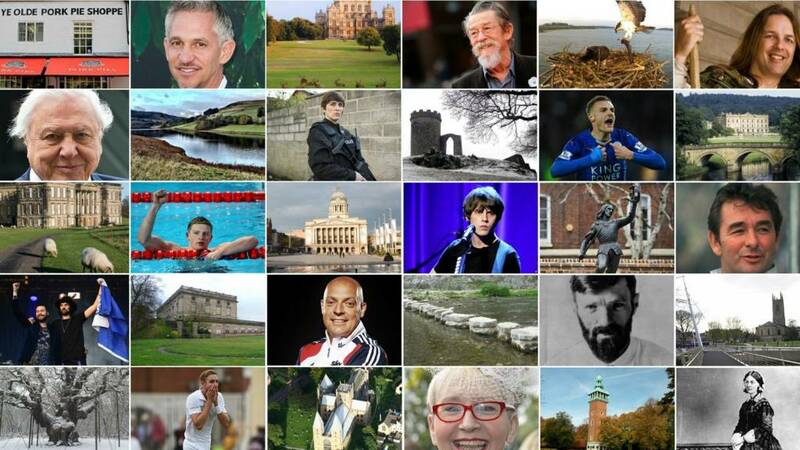 The East Midlands Live page has now finished for today. However some posts linking to BBC articles may continue to appear overnight. Tonight will be a relatively mild night, staying dry with clear spells and and a moderate easterly breeze. A minor car accident closed Castle Boulevard in Nottingham during this evening's rush hour. The road was closed from the Lenton Boulevard/Abbey Bridge junction shortly after 17:15. A spokesman from Nottinghamshire Police said one person suffered minor injuries. MP for Nottingham North Alex Norris has raised the issue of violence in prisons after an officer at Nottingham Prison was attacked earlier this month. 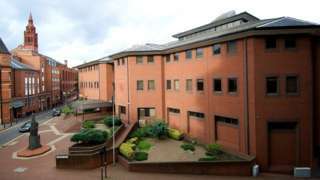 The prisoner has been charged with grievous bodily harm with intent after the prison officer had his throat slashed with a razor. Speaking in the House of Commons Mr Norris said the incident could have been much worse. 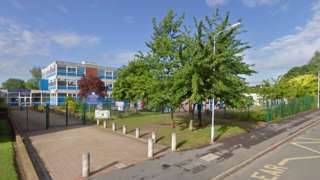 The 11 and 14-year-old were arrested following reports of a threat against a pupil at a Nottinghamshire school. A6005 Nottinghamshire both ways severe accident, from A6130 Sherwin Road to Castle Bridge Road. A6005 Nottinghamshire - A6005 Castle Boulevard in Lenton closed and queuing traffic in both directions from the A6130 Sherwin Road junction to the Castle Bridge Road junction, because of an accident involving four cars. Congestion to along the A6005 towards Muesum of Nottingham Life and the A52 Clifton Boulevard. A plan which could see gas extracted from the ground for the next 25 years has been approved today. The scheme, which does not involve fracking, aims to harness methane gas left behind during coal mining. Once a new access road is built to the site on rural land near Rufford Country Park, drilling will happen around the clock for three weeks, and any escaping gas will be set on fire. Experts will then assess whether there is enough gas to make the scheme profitable, and if it is, generators will be installed to turn the gas into electricity. Nottinghamshire County Council's planning committee approved the decision today by two votes, however all Labour councillors abstained from voting, over concerns at the location of the drilling. The committee heard if the methane began to escape, before it was harnessed, it could be a "potent" greenhouse gas. Neil Baker, a consultant for the applicant Infinis, said he was proud of the company's record, and the way it operates several other sites throughout the country and said planning permission would "help secure the future" of the company. The family of a woman who was killed in a five-vehicle crash have paid tribute to her "compassionate and kind heart". Suzanne Sheil, 70, from Simmondley, was driving a Vauxhall Corsa which was involved in a crash with a lorry, a Vauxhall Insignia, a Mitsubishi L200 and a Lexus IS200 on the A624 near Glossop on 16 April. She was prounounced dead at the scene. In a statement, her family said: "Suzanne was the kindest, most creative person you could know. "A wife, a mum, a nannie, a dear friend - she touched the hearts of many people. "She was a passionate seamstress and an expert crafter, with unrelenting enthusiasm and devotion." The driver of the Mitsubishi, a 41-year-old man, remains in hospital with serious injuries. Two boys have been arrested after armed police were called to a school following reports of a threat against a pupil. Police were called to the South Wolds Academy and Sixth Form in Keyworth at about 14:30 today. 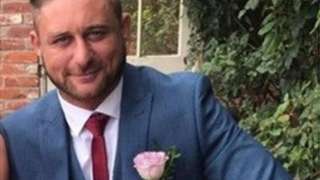 A motorcyclist who died in a crash with a car in Chesterfield has been named by police. Wayne Turton, 33, from Eckington, was riding his Yamaha YZF-R6 motorbike on the B6052 when he was involved in a crash with a black BMW just after 11:00 on Saturday. The road was closed between Handley Road and Springwell Hill following the crash and police are investigating. A man has been arrested on suspicion of supplying controlled drugs. The 26-year-old was arrested in Oak Tree Close, West Bridgford, and remains in police custody. This follows the arrest of another man, 19, on suspicion of possession of criminal property and drugs in South Avenue, Radcliffe-on-Trent, on 27 March, who has been released under investigation. Just a reminder the A52 Brian Clough Way eastbound carriageway in Derby will be closed every evening this week for work on street lights. The road will be shut between the Pentagon Island and Raynesway junctions (including the Wyvern Way eastbound slip road) from 20:00 until 06:00. The city council said diversions will in place along Derby Road and Nottingham Road, Chaddesden. Thousands of runners are gearing up to take part in the London marathon on Sunday but two of them have already set off. Rob Jackson and Nick Steele, from Nottingham, are running more than 170 miles to the capital, covering the distance of more than six marathons. Both men have family who have been affected by blood cancers and are raising money for charity Bloodwise. They were joined this morning by supporters as they set off from Nottingham City Hospital and started the first leg of their journey. "I'm totally confident it's going to hurt. I'm totally confident it's going to be very uncomfortable at times, but I'm also confident we will get there and get round the London Marathon," said Nick. Rob said his inspiration for the challenge was his wife who has been through treatment for non-Hodgkin lymphoma twice.